One of the true delights of a visit to the British Isles is indulging in the long-held tradition of the English Breakfast. 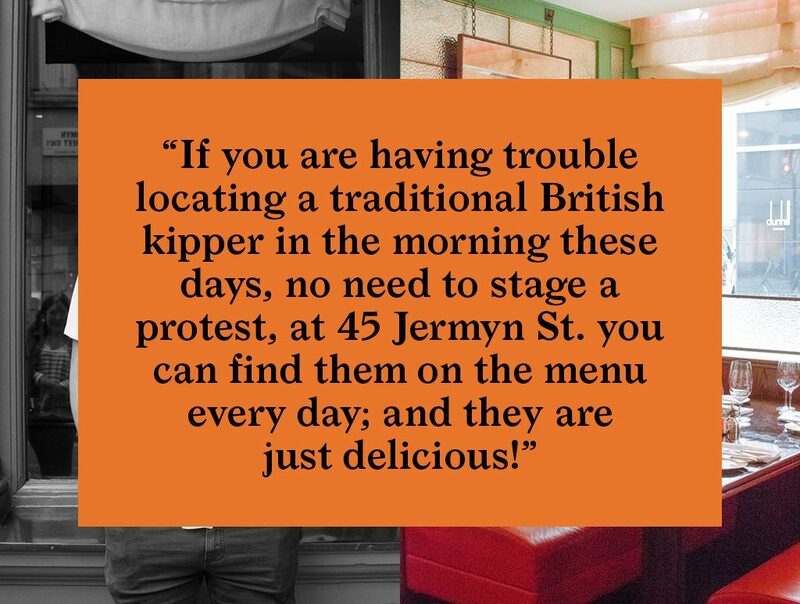 But where should one go to experience this morning culinary ritual of the Brits? The simple answer is pretty much, anywhere. But as with most things, if you want the best, it’s going to take some nosing around. Fear not, Bearleader is up for the job. We will help you suss out the smartest, most original, most exotic, and most authentic English Breakfast the empire has to offer. But first a little context. What’s this English Breakfast thing all about? 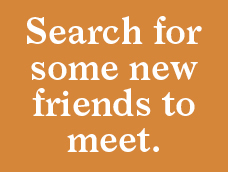 I first checked in with the English Breakfast Society to find out more. 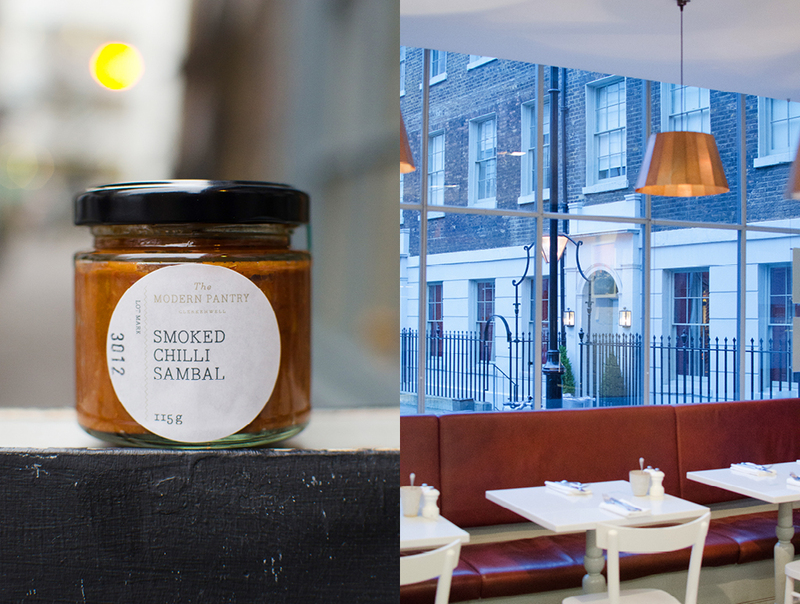 Yes, there is an English Breakfast Society, dedicated to keeping the delicious tradition alive. As an aside, they are currently working to establish April 5 as English Breakfast Day. There is a petition circulating, so if you are a lover of England’s most important meal of the day, please lend your support. From the English Breakfast Society, we learn that the English Breakfast has its origins with the landed gentry. As with most things that have endured through the ages, money and power were prime forces. The land was the source of power and great pride was attached to the traditions of country life. Breakfast was the perfect time to showcase all the wealth and riches of the land, its bounty, for visitors and guests. And the Full-English plate today is still a good representation of all a country estate might produce. In the Victorian era, the burgeoning middle class and newly rich merchants wanted to emulate the truly powerful landowners, so the tradition of the English Breakfast gradually became standardized. Over time the tradition jelled into the nationally recognized dish that we know and love today. After reaching its peak in the 1950s, the English Breakfast slowly declined in popularity as English food generally grew more and more processed and unpalatable. But now, following the return of England to the world food scene, the English Breakfast is back in full force. Being quite adept at incorporating the traditions of its citizens from all parts of the world into its own dishes, Britain has developed a variety of hybrid, cross-cultural cuisines that exist nowhere else. (The British/Indian dish Kedgeree comes to mind. We did a story about it that you can read here.) And the process continues today. 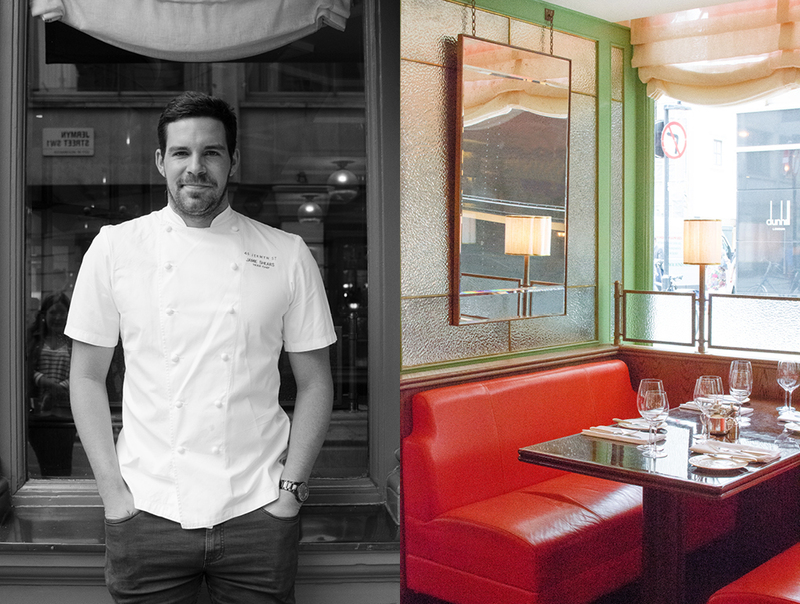 We were fascinated to hear rumors of great chefs specializing in various regional cuisines experimenting with ways to merge their techniques with British traditions to make new British classics. And so for our breakfast expedition we decided to seek out the best and most interesting current developments in the great tradition of English Breakfast. So, let’s get a table and order some breakfast. Sir Laurence Olivier started a public protest when, in 1971, kippers were taken off the menu on the Brighton Belle, the famous electric Pullman train that ran from London to Brighton. 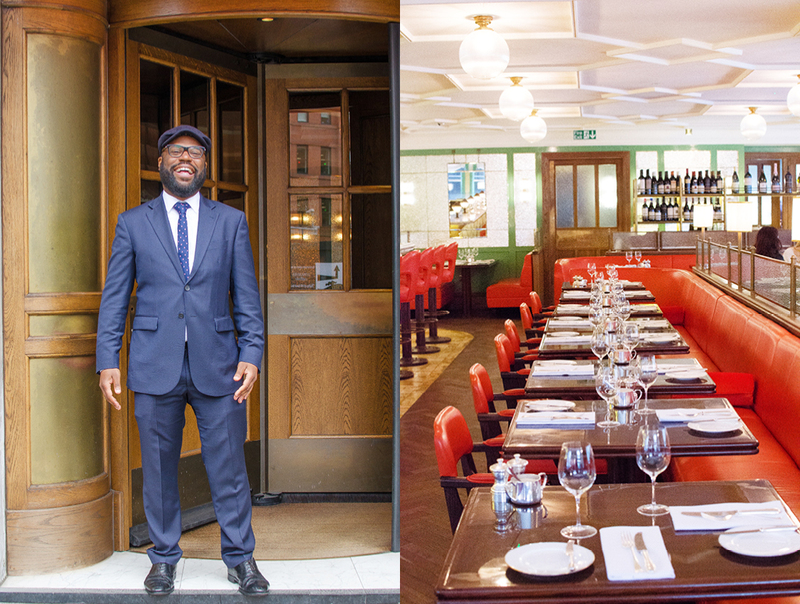 His action was a success in putting the dish back on the menu but it was short-lived, with the Brighton Belle making its final run just one year later. 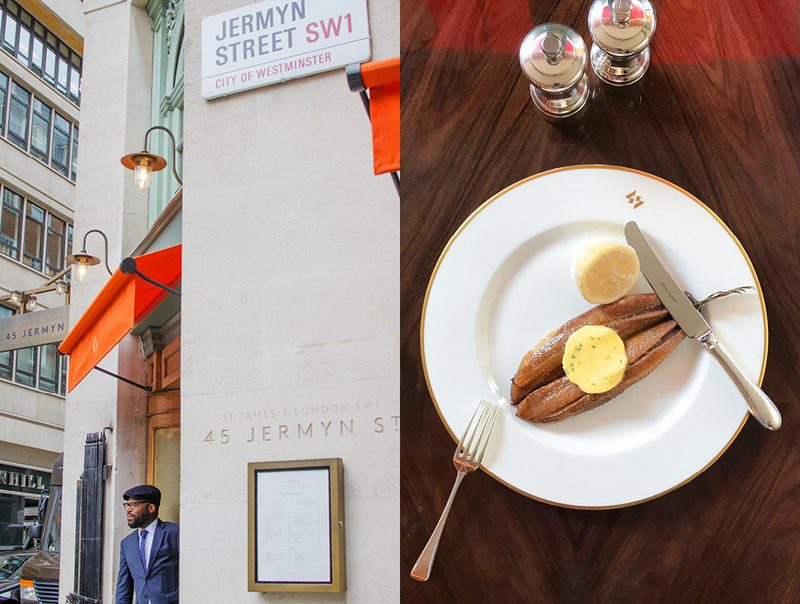 If you are having trouble locating a traditional British kipper in the morning these days, no need to stage a protest, at 45 Jermyn St you can find them on the menu every day; and they are just delicious! During the Victorian and Edwardian eras, Kippers were a quintessentially British dish. By the time the 1970s rolled around they had long since peaked and were in the midst of long decline, with the Brighton Belle being one of the last holdouts. Now it’s almost 50 years later and we are all in search of our daily dose of Omega-3s. If only we hadn’t given up on Kippers–a delicious, nutritious source. 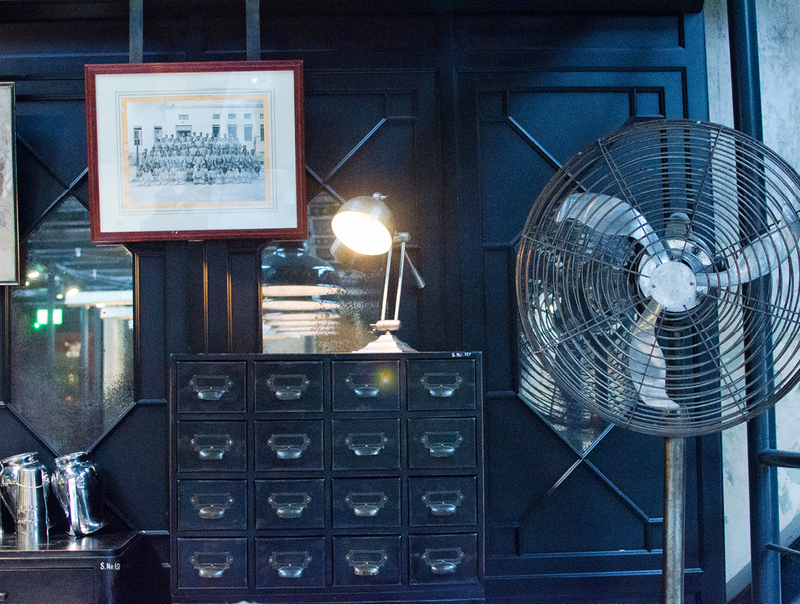 45 Jermyn St is old school. Were Beau Brummel alive today this is the kind of place where he would likely start the day. 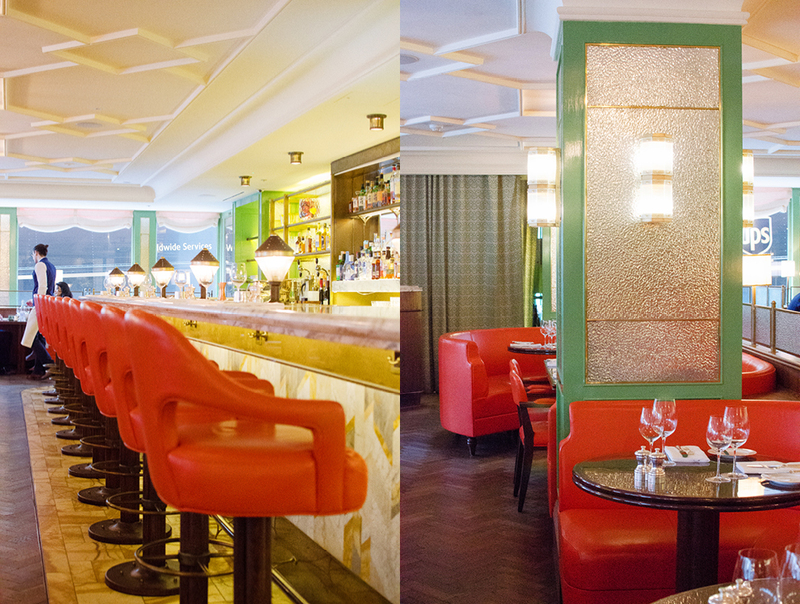 Brummel would appreciate the glamorous dining room, with eye-catching salmon colored leather banquettes, stark white stucco ceiling, Art Deco lamps and shiny lacquered tables. And most of all he would approve of the wait staff’s nicely tailored uniforms. 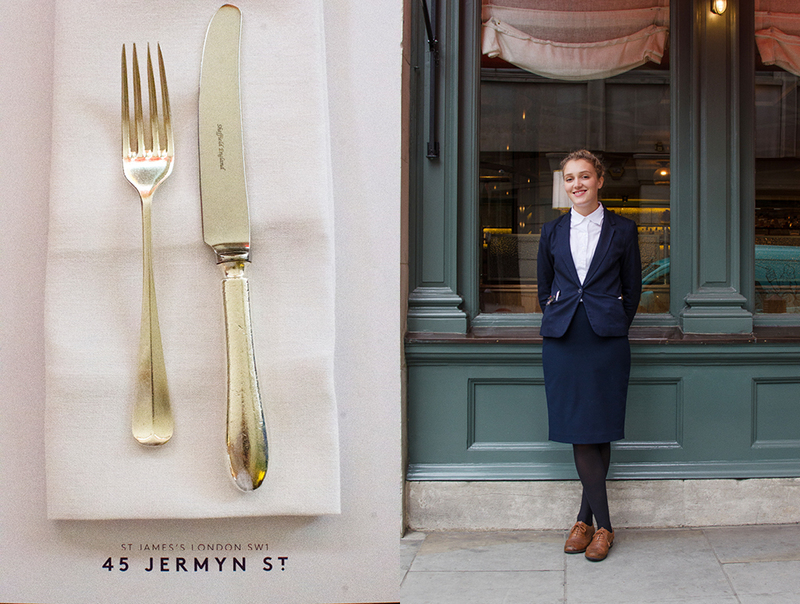 Or, a more contemporary character, for Stephen Frye, 45 Jermyn St is a neighborhood hangout. 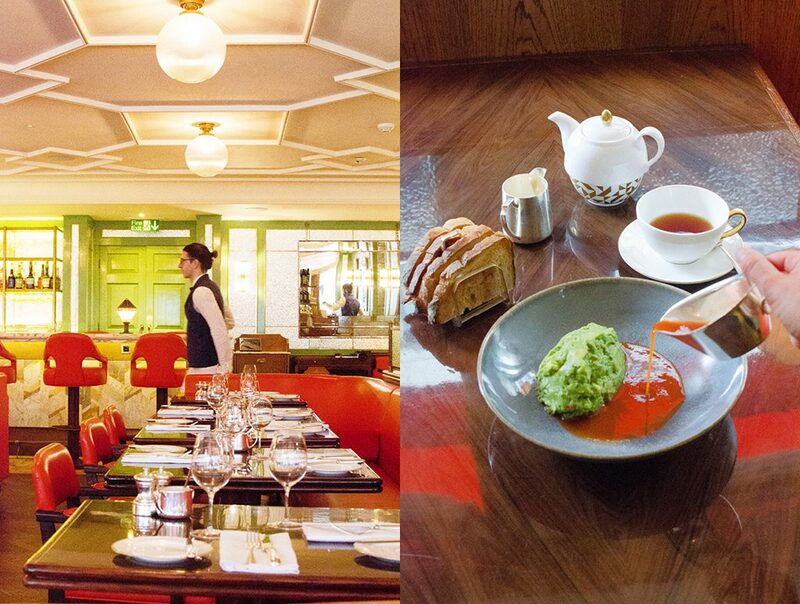 With its location along Londons famous tailoring strip, a block off Piccadilly and around the corner from famed Fortnum & Mason, dining out here puts you in prime position for shopping and culture later on. Oh, did I mention the Royal Academy of Arts a block away? So much to like about these few historic blocks in Central London. The menu features many London favorites. Some classics like Beef Wellington, Filet of Halibut ‘Fishermans Pie”, as well as a nod to the latest of breakfast dishes, Avocado on toast. 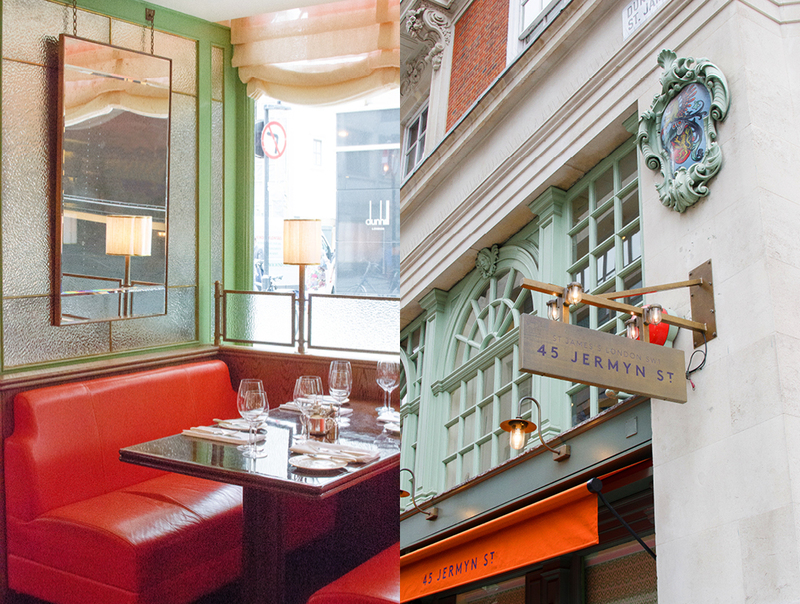 45 Jermyn’s St is distinctive, served with a soft Virgin Mary sauce. That’s a dish I would travel for in a New York minute! Dan, who tends the door and knows all the regulars by name, waves us a fond goodbye as we head out for more London adventures. 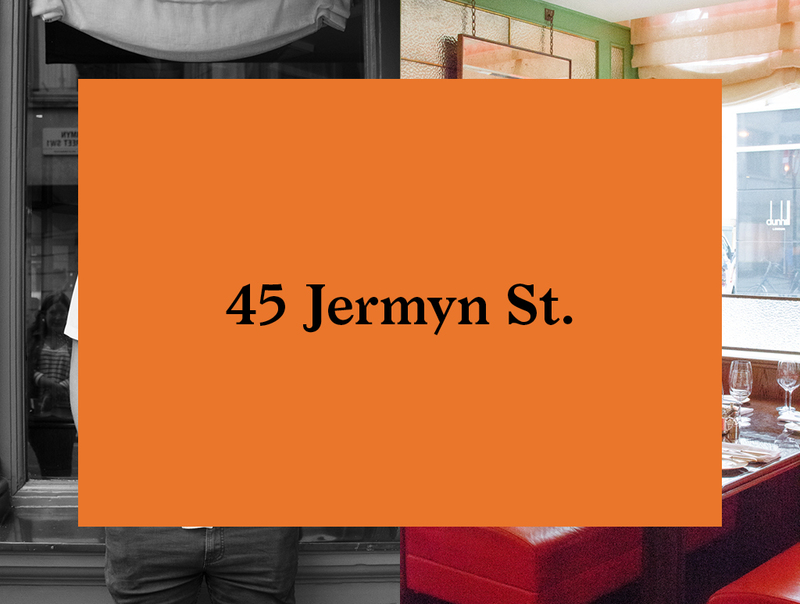 45 Jermyn St is a lively old-world place full of contemporary charm and just to place to kick off your next amazing day in London town. Day one we are waiting to be seated at The Modern Pantry, a converted Georgian townhouse overlooking St. Johns Square in Clerkenwell. New Zealander Anna Hansen cooked in London for many years before opening The Modern Pantry in 2008. 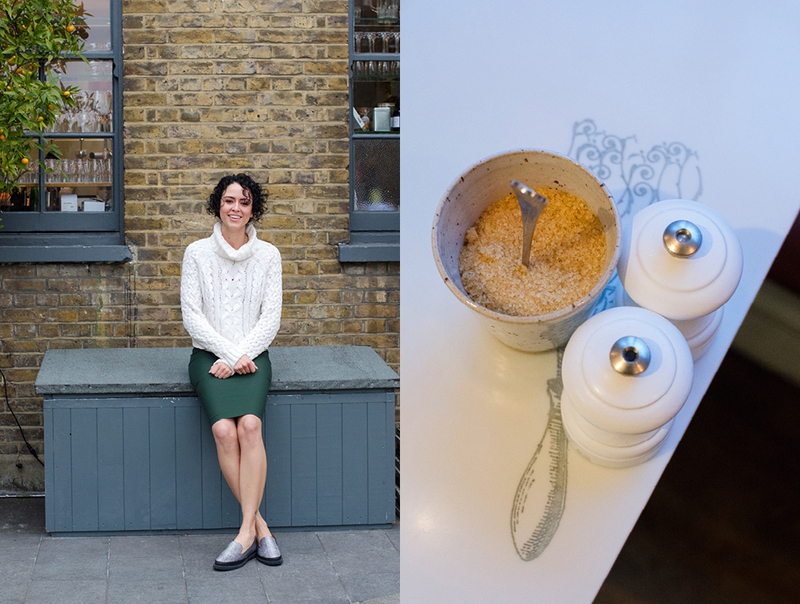 It has been a hugely popular place with Londoners, which speaks volumes for the excellent food and service that Anna and her team bring to the table every day. The food is all fresh and the menu seasonally based. They are open for breakfast, lunch and dinner but I like it best mid-week for breakfast, preferably early before it gets too busy. 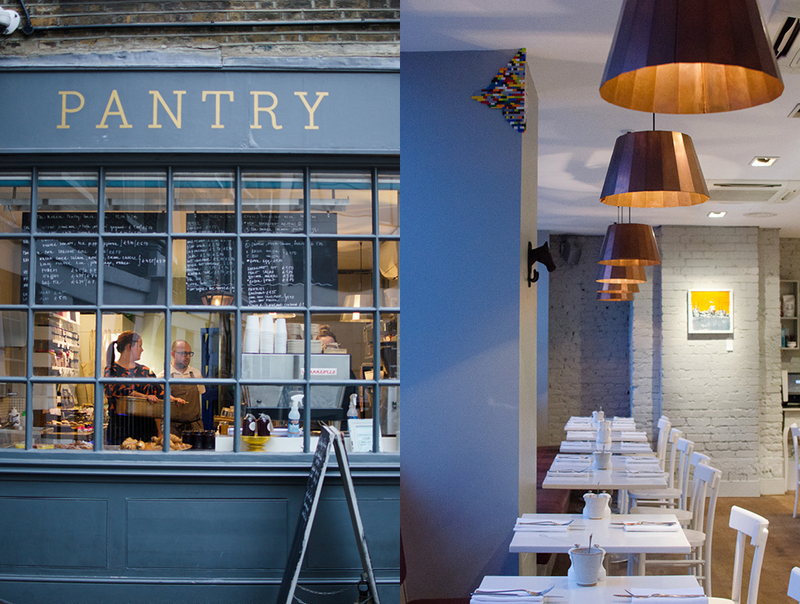 There are a few choices for your thoroughly modern English Breakfast at The Modern Pantry. 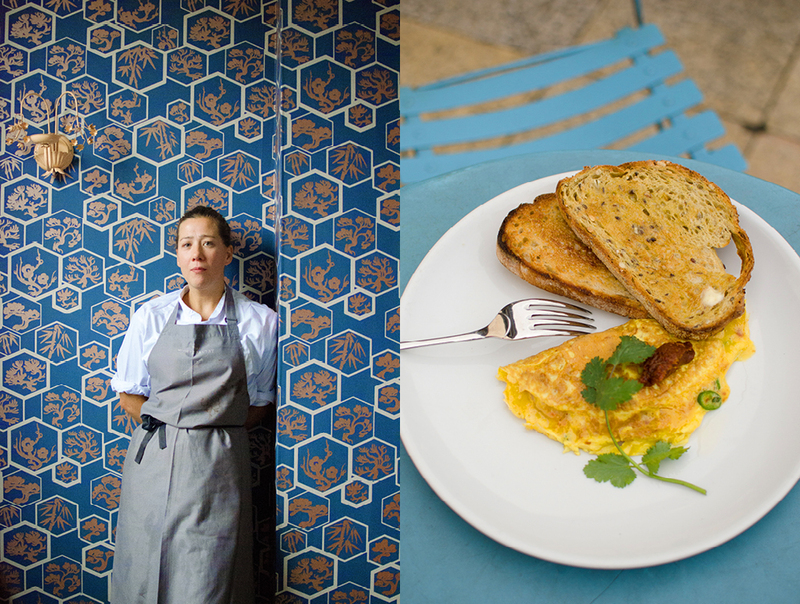 I chose the sugar-cured New Caledonian prawn omelet with green chili, spring onion, coriander and smoked chili Sambal, served with some nice and chunky pieces of toast. The dish is light and the slightly sweet-and-sour taste is delightful. I like to put the omelet on one piece of toast and eat the other piece of toast plain with Modern Pantry’s fresh butter. 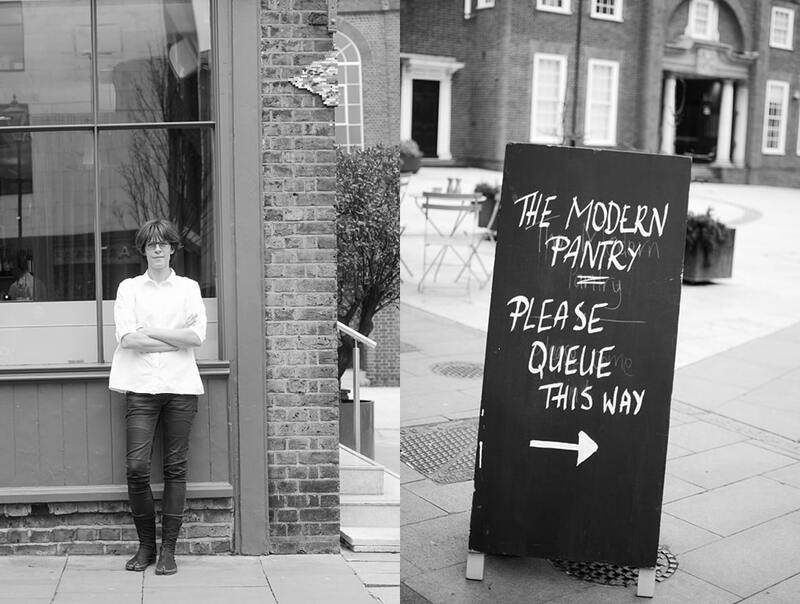 It is great to sit out in St. Johns Square in the summer in The Modern Pantry’s outdoor seating. 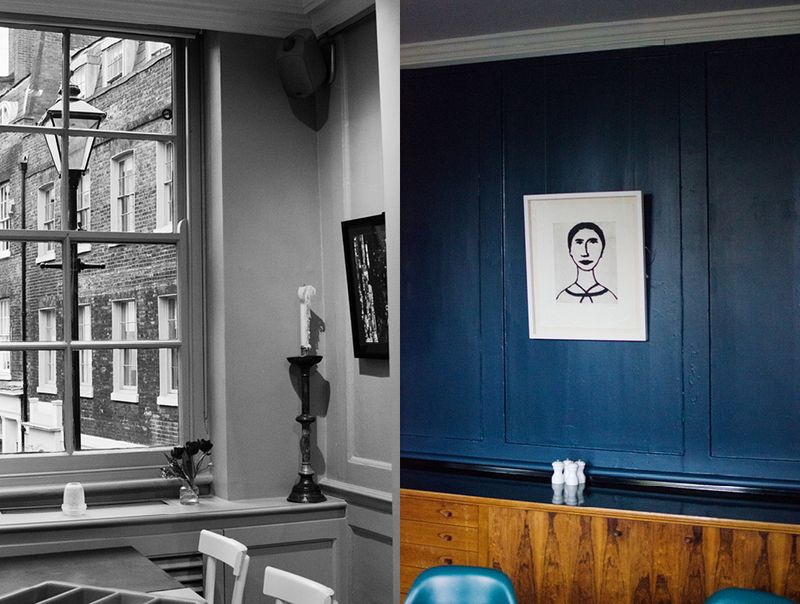 Londoners are hardy so you will find the outdoor seating being used year round. The square is a bit of classic old London with some modern mixed in. The Brits are good at blending old and new to make really interesting urban spaces. This is just such a place. If the line is too long or if you just happen to be peckish when walking by, try The Pantry Next Door for takeout, coffee and treats. Everything is made fresh and on-site daily. 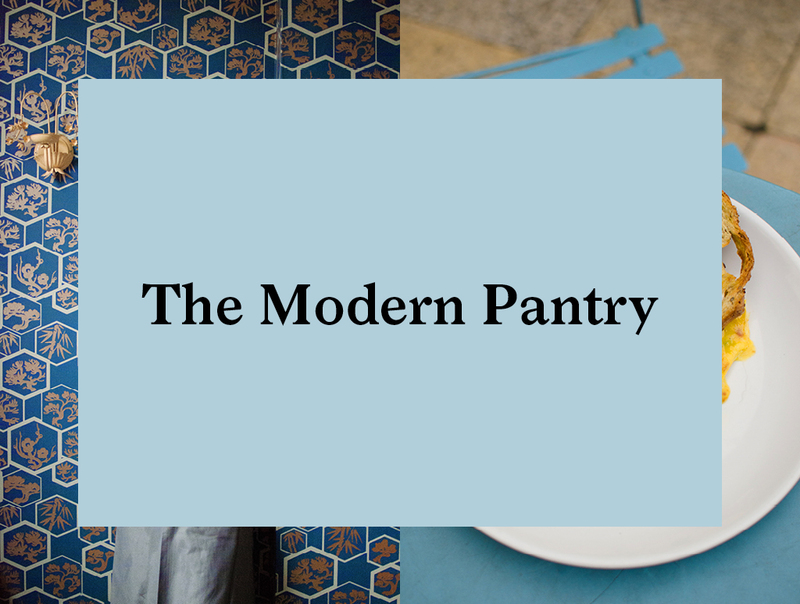 If you want to pick up a tasty souvenir for friends and family back home, get a copy of Anna’s cookbook, The Modern Pantry. I also picked up a jar of Anna’s homemade Chili Sambal to try out on my own breakfast at home. 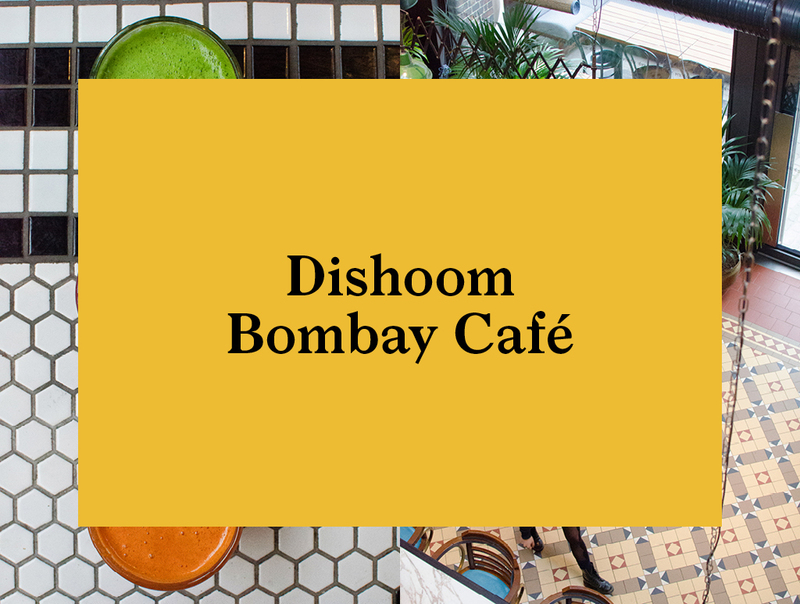 Today it’s off to Kings Cross and the newly renovated Granary building, Mostly occupied by Central St. Martins School of Art, but also the home of Dishoom: A Bombay Cafe. The name Dishoom comes from the Bollywood sound effect used in fight scenes. Kind of the Indian version of Batman’s “POW”. 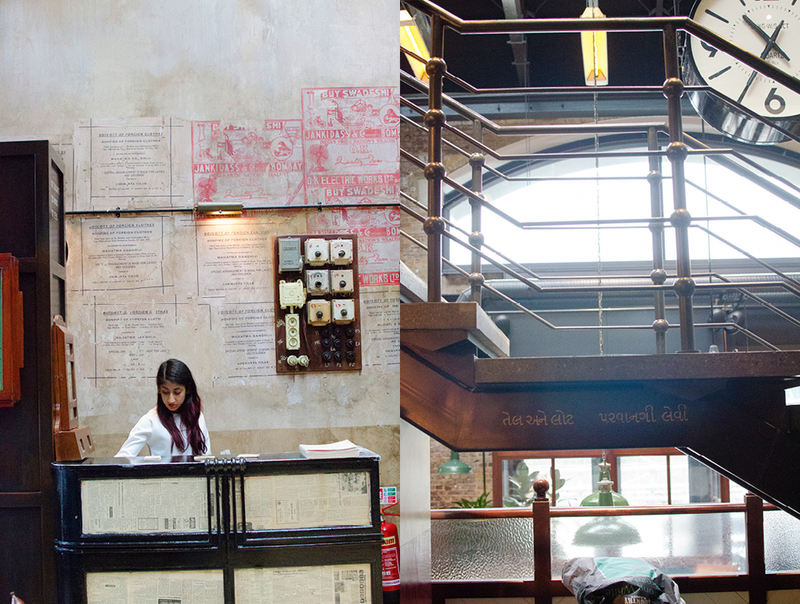 This is the third Dishoom in London, by far the biggest and I think their most interesting interior to date. 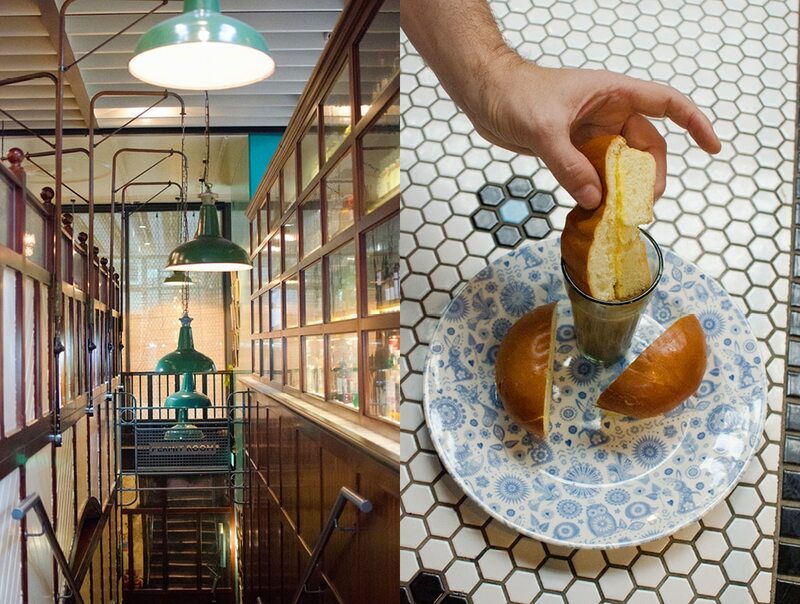 Housed in the voluminous three-story Victorian space it is set-up like an Indian train station restaurant. Upon entering you are immediately transported back to Bombay circa 1930. 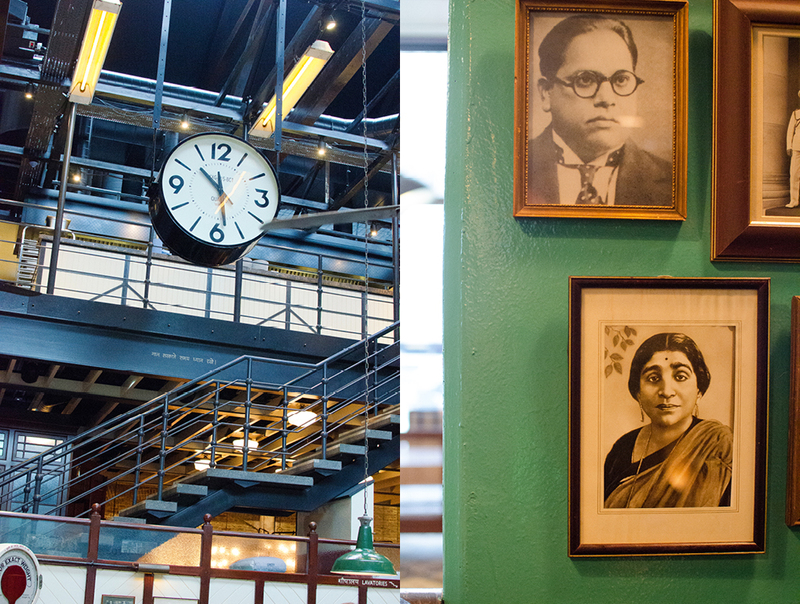 Adorning the walls throughout is antique signage, graffiti and sepia photographs of families, politicians, poets and writers from the time of India’s early struggle for independence. Old ceiling fans spin, adding to the exotic atmosphere. 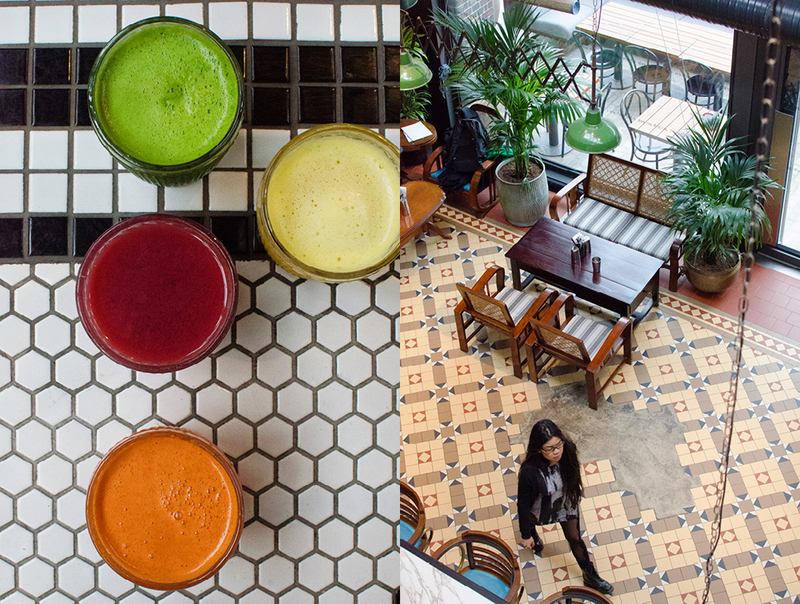 A juice bar occupies a former Railway ticket booth with its original details completely restored, adding to the feeling that you stepped out of London and back in time. 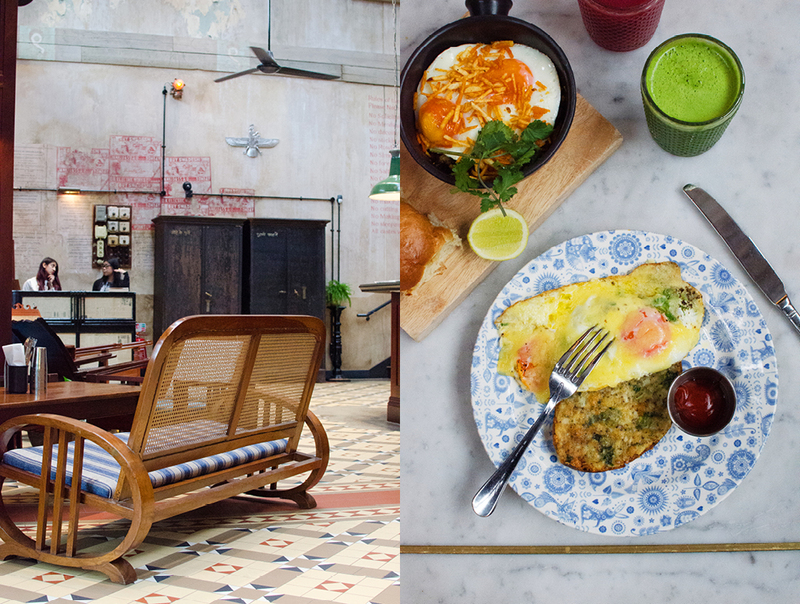 Dishoom is a great option for breakfast, especially during the week. It is not overcrowded and you can enjoy the short trip to the outer reaches of the Empire before heading out for more London sightseeing adventures. If you have a good appetite, try the Keema Per Eedu, spicy chicken Keema studded with delicate Morsels of chicken liver, topped with two runny-yolked fried eggs and salt crisp-chips. “Keema” originally referred to minced meat and was typically mutton. Dishoom’s breakfast interpretation with chicken is a lighter version. Option two is Kejriwal, two fried eggs on Chili toast. A favorite at the posh Willingdon Club in Bombay, the first Bombay club to enroll Indian members. Legend has it that the dish was named for a club member who requested it so often it was put on the menu. Whew! Those two dishes were quite filling but the fresh juices looked so good we had to give them a try. Pick your fruit and they juice it right in front of you. That’s fresh! Now something sweet, I ordered the Bun Maska. This is a bun lightly toasted on the outside, with a pat of butter inside, perfect for dipping in your spiced chai. So simple and good, it’s eaten everywhere in Bombay. Actually this dish is a classic of Bombay’s many “Irani” cafes. Irani Cafes were operated by Persian immigrants in the 19th century. They were quite common and could be found all over India. Most that remain are located in Hyderabad. But Mumbai has the oldest one, the 102-year-old Kyani. 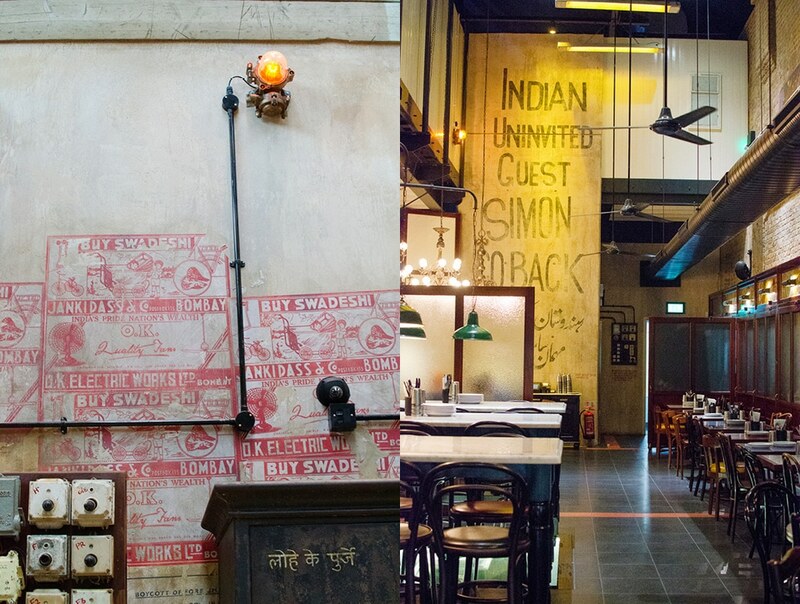 English Breakfast Indian style at Dishoom is a great way of engaging with the long history of these cultures, and the food that helps bind them together. Day three we are up early and heading over to Soho. Soho is one of those places in London where you need to know exactly where you are going and what time to go or you can easily get caught up in a crowd of marauding tourists. I find it’s best early in the morning or very very late at night. 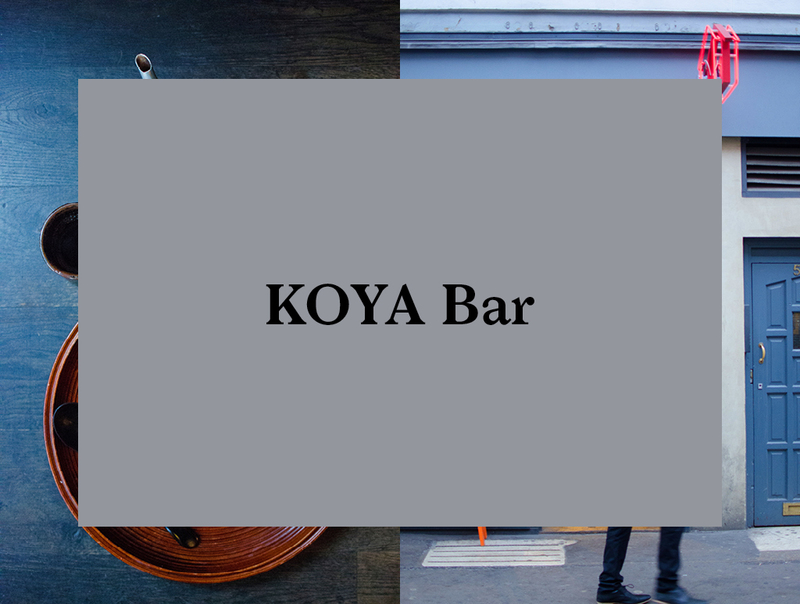 We are visiting KOYA Bar, the little sister of the adjacent and well-regarded restaurant KOYA. Step inside and you may as well have journeyed to Japan. 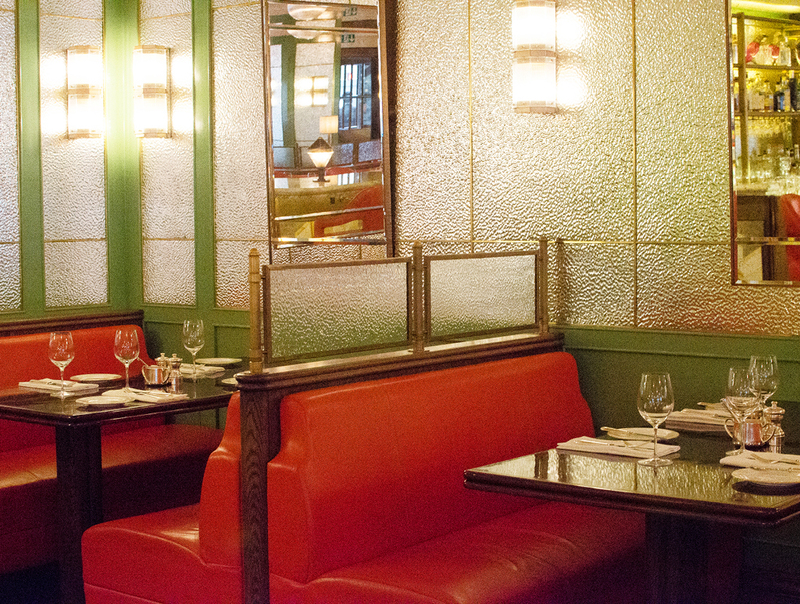 Its simple, no-frills decor and the handwritten menus in Japanese and English are authentic. I like to arrive just when they’re opening. Soho is beautiful when it is quiet, just as London is waking up. You are probably asking yourself, “Why Japanese when I am in London looking for an English Breakfast?” Well, hear me out. 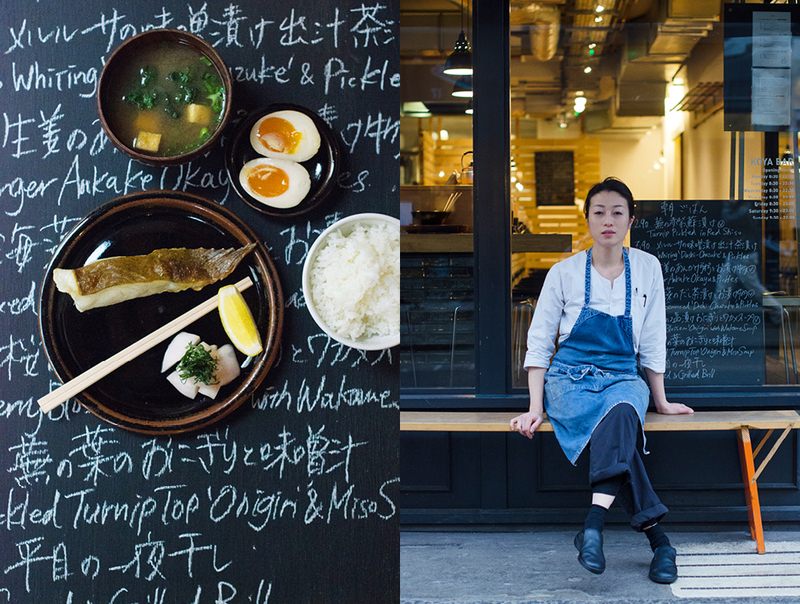 Chef Shuko Oda’s food is as interesting as her life. Born in London, she grew up in California and Japan but eventually found her way back to London. Udon is really Koya’s trademark. So when planning KOYA Bar Shuko decided to find a way to serve an English Breakfast Japanese style. She fries up fresh bacon and eggs, places them on top of a bowl of freshly cooked udon so they float like the British Isles, with two mushrooms floating on either side. Eaten with chopsticks it is a brilliant English Breakfast and one of my favorite dishes, period. 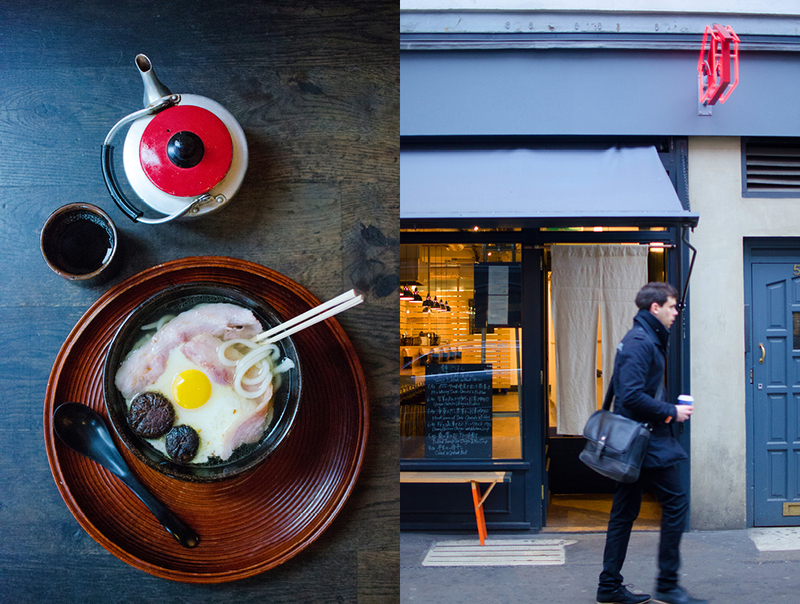 The day we visited we also tried Shuko’s Kedgeree, which is a Japanese take on an English take on an Indian dish. She serves it in a Japanese style with each ingredient in its own dish. 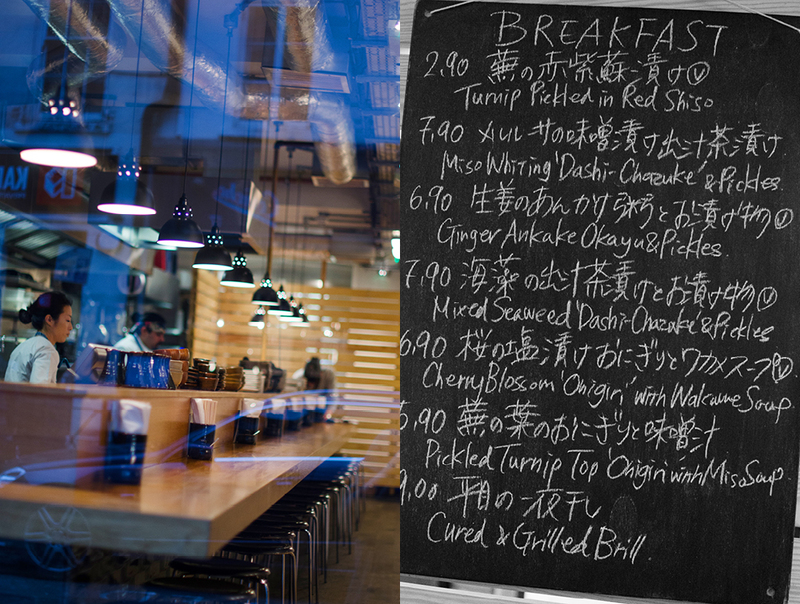 Along with the staples, KOYA Bar has a daily changing breakfast menu which is worth checking out. 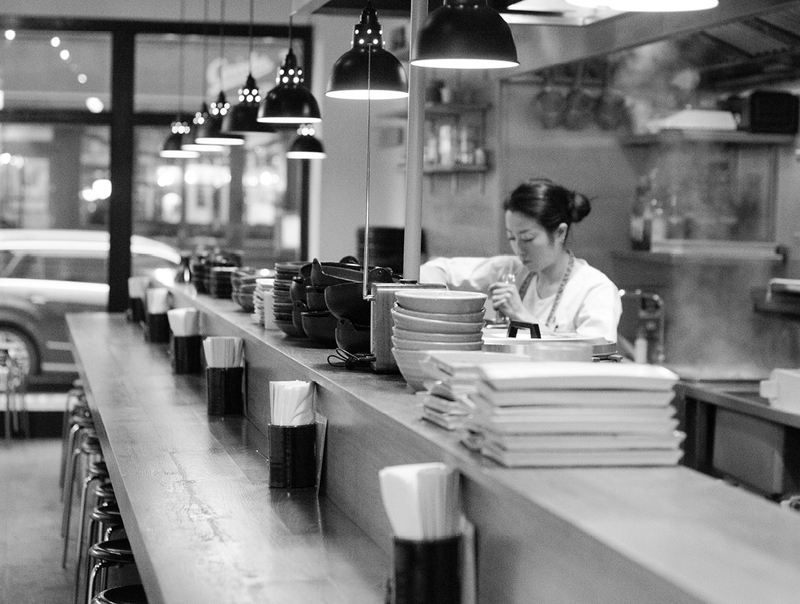 A lot of thought a passion goes into the food at KOYA Bar. When you are there it’s hard to put your finger on why it’s so special but I think it has something to do with the relaxed simplicity of place, food and service. English ingredients prepared with an attention to detail characteristic of Japanese cooking, that’s what makes both KOYA and KOYA Bar special. So be sure to delve into the local breakfast culture on your trip to London, Whether you choose the modern English, Japanese English, Indian English, or authentic Full English versions, or, like us, take four days to try them all, it is a delicious way to delve into the local customs and culture. After any of those fabulous meals you will have more than enough energy to head out and explore all the sights London has to offer.